I got my first survival knife when I was 8 years old and my mom (yes, it was my mom and not my dad who gave me the knife!) was very clear about the safety rules. That didn’t stop me from slicing my fingers open a few times while whittling sticks. These knife injuries happened while we were far away from medical help (and before the era of cell phones so no way of calling 911). Knife wounds are one of the most common backcountry injuries. And, if we keep in mind the potential robbers and serial killers lurking in the woods (such as this recent case), there is also the risk of stab wounds. You can’t always call 911. So, whether you are a prepper, outdoors person, or homesteader, if you believe in being self-reliant, then you’ll want to know how to treat a knife wound. 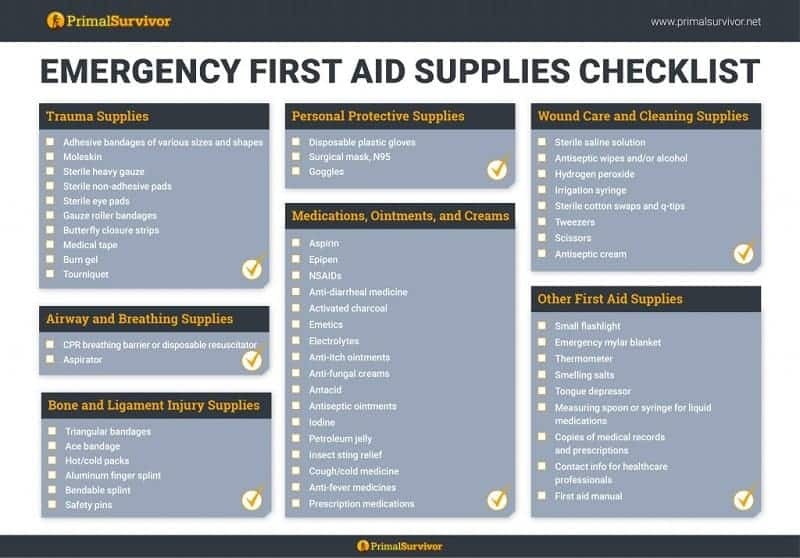 Start by downloading our first aid supplies checklist. Click the checklist to get a printable version. The crazy thing about knife wounds is that, because of adrenaline and extreme stress, knife victims don’t always notice their injuries until later. As the person administering first aid, you want to take advantage of this initial shock period and get the victim to lie down. The patient won’t be able to see his/her knife wound while lying down. This will prevent the patient from freaking out. Of course there are exceptions to this rule. As EMS1 talks about here, you wouldn’t put knife wound victims on their back if the wound was to the back or if lying down will affect the patient’s airways. It is good to have scissors in your wilderness first aid kit. Or, use your survival knife for this (carefully). It is easy to want to skip this step during an emergency situation. However, if you don’t take the 20 seconds required to put on gloves, you could infect the wound with your dirty hands. If you don’t have gloves to put on, then wash them thoroughly. At the very least, rub some antibacterial hand sanitizer on them first. The human body has approximately 10 to 12 pints of blood. The body can usually lose 1 pint of blood without severe effects. A loss of 2 pints of blood will lead to shock. Here’s the scary thing: if the knife wound hit an artery, the rate of blood loss can be very fast. According to this college professor, fatal exsanguination from an arterial wound may only take 20 seconds to a couple minutes. Even venous bleeding could cause death in 4 to 5 minutes if the wound was large enough. Arterial Bleeding: The blood will be SPURTING out. It will be a bright red color. Venous Bleeding: The blood will be oozing out. The blood will be a darker color. Capillary Bleeding: The blood will slowly come out. It will eventually stop on its own. Applying pressure to the wound will help stem the flow of blood. In cases of arterial bleeding, you will also want to apply pressure to the major artery leading to the wound. You will need to use both hands for this! For example, if the knife wound is in the thigh, you will need to apply pressure to the femoral artery. According to JEMS, 10 to 15 minutes of direct pressure should be enough to control bleeding of most wounds you’d encounter in backcountry. The heart is what pumps blood throughout the body. If the wound location is below the heart, then blood loss will occur faster. To prevent this, position the victim so the wound location is above the heart. For example, if the knife wound is in the leg, have the victim lie down and elevate the legs. Even with this step, there could still be complications from pressure buildup. Thus, Heiskell recommends having a Chest Seal in your first aid kit. One common first aid myth is that you should use a tourniquet to stop the flow of bleeding. Sure, using a tourniquet will stop the blood – but could also destroy the limb. So, only use a tourniquet if you are prepared to spare the victim’s limb in order to stop the blood loss. For more on this, Backpacker has a good article here. The knife is still in the wound? Under normal circumstances, you should never remove the knife. But, as JEMS talks about here, you might need to remove it if there is no help available. Before you remove the knife, you better make sure you are ready to stop the flow of blood which is likely to start gushing out immediately! Once the bleeding has stopped, you’ve got to get the wound clean to prevent infection. Cleaning a wound is always an important part of first aid, but it is particularly important when you are far away from professional medical help. The last thing you need is to get an infection which develops into gangrene or spreads throughout your body. 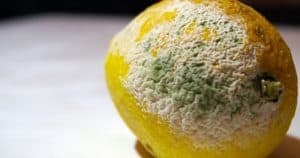 A common medical saying is, “The solution to pollution is dilution.” In other words, you need to dilute the wound site to get out any contaminants which would lead to infection. Use tweezers to remove large pieces of debris in the wound. Use at least 1 liter of fluid to clean each wound. Saline solution is best for cleaning wounds. If not available, use sterile water (boiled for this purpose). Direct the fluid at a perpendicular angle from about 1 to 2 inches from the wound. 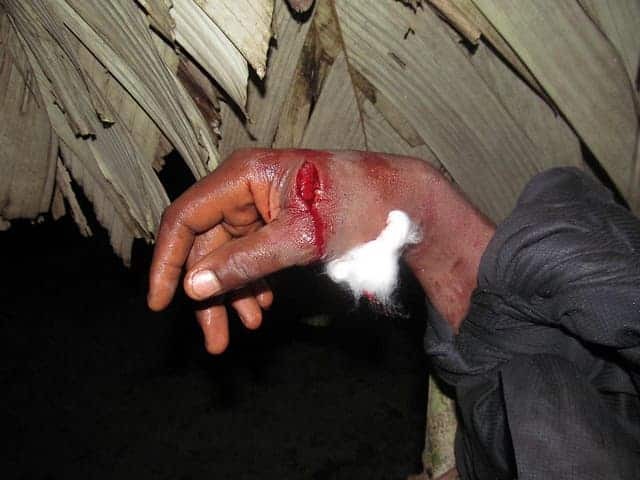 You must use enough force to dislodge any foreign debris in the wound, but not so much force that the tissue will be damaged or the debris will get pushed deeper into the wound. Hopefully you have supplies in your first aid kit. You can use a 1% povidone iodine rinse to clean the wound. Or, in a pinch, peroxide or alcohol will work. Josh at The Survival Place notes that salt is a great natural cleanser. You can mix tbsp. of salt with 1 cup of warm water to make your own saline solution for cleaning the wound. Apply copious amounts of antibiotic ointment over the wound. 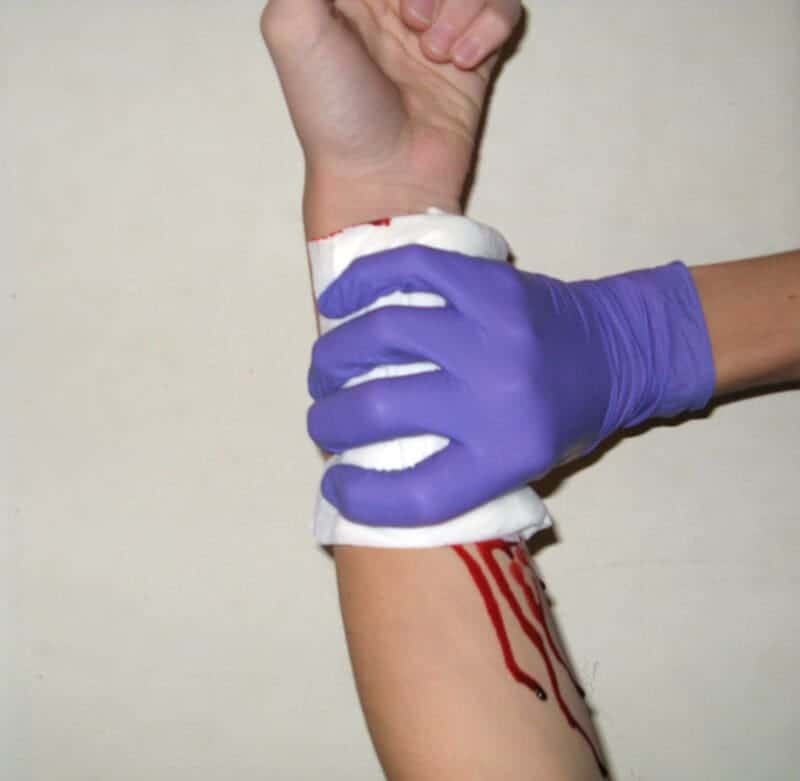 Not only does this help prevent infection, but also can help prevent the dressing from sticking to the wound. 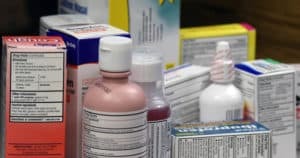 As Hartley Brody notes, antibiotic ointments are NOT a substitute for cleaning a wound. You still need to flush the wound very well (no matter how much the patient is screaming of pain) before applying the ointment. Under normal circumstances where you can call 911 or go to the hospital, you should NEVER close a knife wound. This will just trap bacteria and other contaminants in the wound, leading to infection. If you do close the wound, the nurses will just open it up for cleaning at the hospital. But we aren’t talking about normal circumstances here! The purpose of closing a wound is to reduce airspace, prevent further contamination, and to speed up healing. Yet, if a wound is closed and develops an infection, the pus won’t be able to drain and life-threatening infection can develop. Thus, the safest way to treat a knife wound is to leave it open! Doctor Joe Alton over at Doom and Bloom recommends a “delayed closure” if you aren’t sure whether to close the knife wound. This means waiting 72 hours to see if any signs of infection develop. If they don’t, then close the wound. An “open wound” does not mean you leave it open to the elements. The wound still must be covered (dressed) to prevent contaminants from entering it. Remember, even the air contains bacteria, so the wound must be dressed at all times. Regardless of whether you left the wound open or closed it, you need to monitor it for signs of infection. You’ll need to change the dressings every 12 to 24 hours. Be careful that you don’t open the wound when you remove the dressings. Apply ointment to the wound before putting on the dressing each time. The ointment helps prevent the dressing from sticking to the wound and speeds up healing. If you don’t have enough sterile dressings, you can boil the used ones to sterilize them before reapplying them. A bit of redness or pus is normal as the wound heals. However, if the skin gets very painful, hardens, turns bright red, or is hot to the touch, then a serious infection is likely developing. Re-clean the wound, take antibiotics if you have them. Even if you closed the wound, you still need to monitor it. If the wound area starts to swell up, get red and crusty, or stink, then an infection has developed. You’ll need to reopen the wound and clean it again. Leave the wound open this time and start saying your prayers! Want to get prepared for medical emergencies? 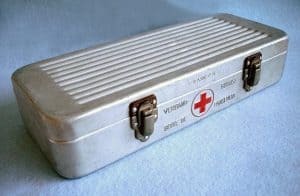 Read this post on How to Take Your First Aid Skills to the Next Level. Hi, I’m Anna, my passions are hiking, homesteading and outdoor living and I can’t wait to share them with the Primal Survivor community. excellent write up. 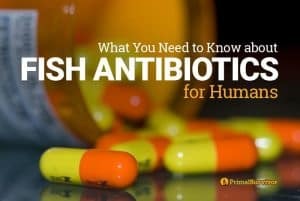 This knowledge can save lives and I’m happy to see it posted.